YouTuber who is known for her vlogs and music-related content. She began posting videos in August 2011. She began her YouTube channel on August 1st, 2011. Ten days later, she posted her first video, "The Athena & WIlliam Vlog #1." Her channel has gone on to amass more than 8,000 subscribers. 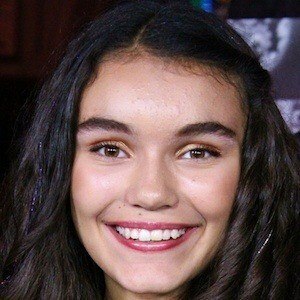 One of her most popular videos, "Athena and William singing Friday by Rebecca Black," has garnered over 200,000 views since its posting on August 31st, 2011. She was born and raised in Springfield, Oregon. She lists Shane Dawson as one of her featured channels.